London City Airport (LCY) is located about 9 miles east of central London and handles short-haul international flights with a strong emphasis on business travel to destinations across Europe. Being located to the east it is popular with business travelers working in the City of London and Canary Wharf area. 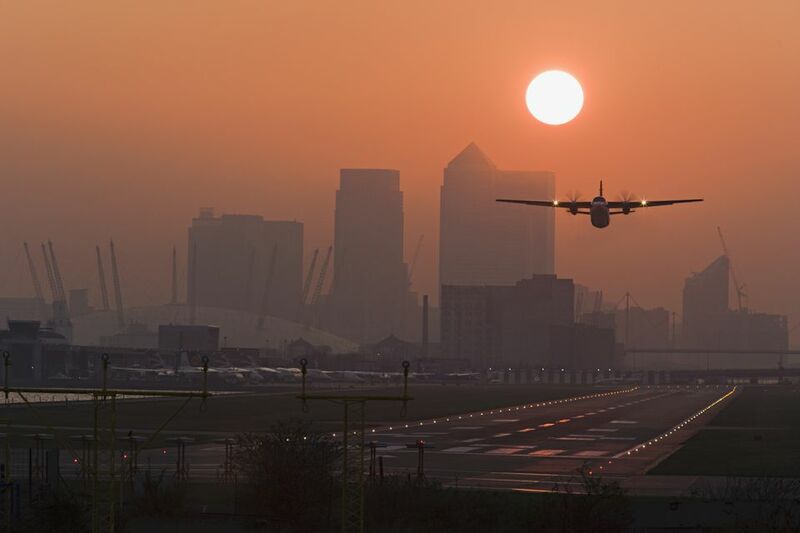 London City Airport opened in 1988 and has a single runway and one terminal. Due to the airport's size, arrivals and departures through London City Airport can be much quicker and easier than at the larger London airports, Heathrow and Gatwick. Facilities at the airport include free Wi-Fi, left luggage options, a bureau de change and a number of eating and drinking outlets. Journey times to central London are shorter than from the other London airports as it is nearer to the city center. DLR trains to and from London City Airport run approximately every 10 minutes from around 5:30 am to 12:15 am on Mondays to Saturdays. On Sundays, the trains start later start at around 7 am and finish at around 11:15 pm. To travel on London public transport it is advisable to use an Oyster card as cash fares are always the most expensive. An Oyster card can be bought for a small deposit (£5) and fares are then added as a credit to the plastic card. You can use your Oyster card for all of your Transport for London journeys on the tube, buses, some local trains, and the DLR. Do note, the DLR station does not sell Oyster cards so you will need to purchase in advance. When you have finished your trip to London you can hold on to your Oyster card and use it on your next trip, or you can pass it on to a colleague or a friend traveling to London, or you can get a refund at a ticket machine if you have less than £10 credit on the card. While flights are operating you can usually find a line of black cabs outside the airport. The fare is metered but watch for extra charges such as late night or weekend journeys. Tipping is not compulsory, but 10% is considered the norm. Expect to pay at least £35 to get to central London. If you choose to travel in a mini-cab, not a classic black taxi, do only use a reputable mini-cab company to book your car and never use unauthorized drivers who offer their services at airports or stations. Uber services operate throughout London.